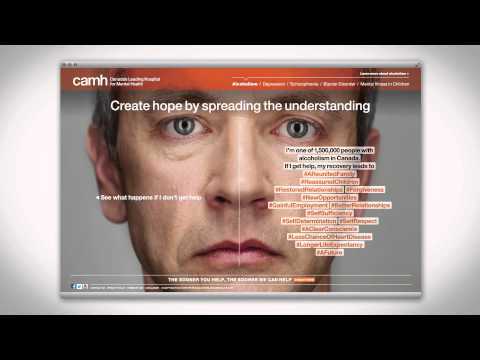 DentsuBos has created a compelling cross-media campaign for The Center for Addiction and Mental Health (CAMH) in Canada. The case study provides a 360-degree look at the entire campaign through every utilized asset. The most compelling part of the campaign is the use of hashtags in the narratives told by each person. By making tough diseases and illnesses more accessible to millennials through social media-friendly lingo, DentsuBos has created an environment that fosters frank and easy discussion of mental health issues that plague Canadians. Go to http://www.camhunderstanding.ca/ for more information.